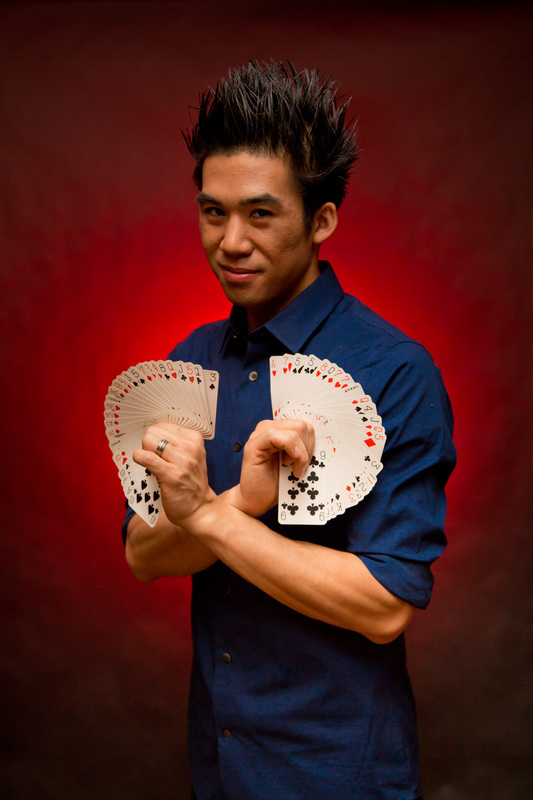 Norman Ng (pronounced “ing”) has been performing his exciting and unique brand of magic throughout the US for over 23 years. He has performed for millions of people live, on TV and on the internet. His show has been featured in 48 US States, Canada, and on the TV Show “Penn and Teller: Fool Us” on the CW Network. Ng is known for bringing a fresh and dynamic energy to his shows. He views his show as a conversation with an audience rather than a performance for them. He involves the audience in ways no other performer does. He gets the audience to react in ways they never thought they could. He swings stuff, smashes stuff, and makes hundreds of people suspend their disbelief with every show. Norman has gained national recognition in the magic and performing arts community. In 2011 he was named “America’s Best Variety Act,” by Campus Activities Magazine. The show is an exciting fusion of magic, comedy, and audience participation! It features never before seen magic, laugh out loud comedic situations and the best part!….it stars you the audience! Norman combines original and amazing magic tricks with his unique style of story telling, action, and audience interaction. The curtain is pulled back and the audience is invited to a world where anything is possible. Clever scripting, strategic blocking, and dynamic body movements are all hallmarks to Norman’s signature performing style. Every word and every “surprise” moment is scripted and designed so it feels like it’s the first time performed to an audience. Every show is “Fresh!” You Will Scream, Laugh and FREAK OUT!